I remember a host of a podcast I was the guest on late last year asking me how I could gauge what a great customer experience was. I said that the key to finding out how good your customer experience is is to ask your customers. We are now in an age where companies compete on customer experience. And, if a customer has a bad experience, they’ll likely leave and go to a company who will deliver an experience that meets their expectations. For companies to compete on customer experience, they need to improve it. 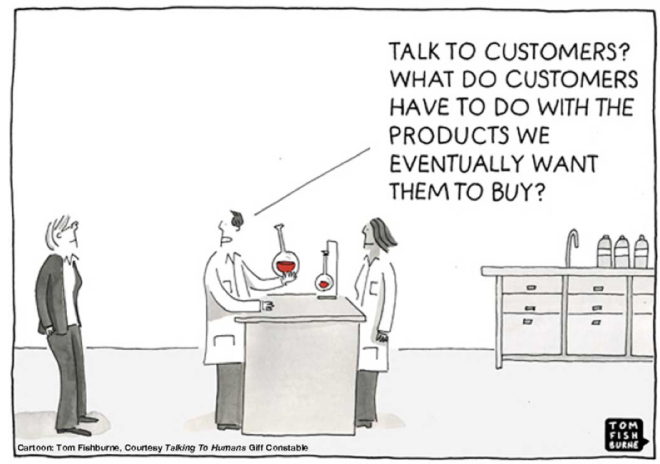 To be able to improve it, companies need to understand what customers want. To understand what customers want, companies must listen to their customers. Enter the voice of the customer (VoC). VoC is the only way to gauge how you’re doing with your customer experience. In fact, VoC enables companies to deliver better experiences. That’s why companies are implementing some type of VoC program. They want to get customers’ feedback on preferences and experiences, share these insights with corporate stakeholders, and act on these insights so they can improve the experience. VoC programs provide the intel that companies need to determine customer needs and wants, how customers value products and services so they know how to improve them, identify gaps in the customer journey and opportunities to refine processes, etc. According to Temkin Group’s State of VoC Programs 2017, while most companies think their VoC efforts are successful, less than 25% of companies consider themselves good at making changes to the business based on the insights. This was down from 2016. In 2017, VoC maturity is still an issue. According to the report, only 14% of companies have reached the two highest levels of maturity (out of six levels). Companies with mature programs are more successful and technology-focused with integration across systems. Also, there are reports that between 80-85% of information a business uses is in unstructured form, primarily text. Businesses must do something with this unstructured data to use it in some purposeful way. This unsolicited feedback data can come from three places. 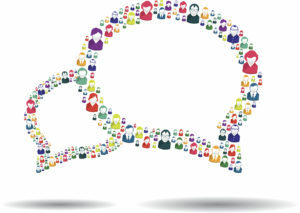 It can come from outside sources such as social channels, product review sites, or other online communities. Or it can come into the company outside the formal survey process like chat or email strings, or call recordings. It can even be in the form of free text responses in surveys. This information, dark VoC, for a lack of a better phrase, is not making its way into actionable insights that need to be addressed by companies. And, survey fatigue and other reasons pop up as to why customers are not providing feedback. What can companies do to improve their voice of the customer success? There must be a C-level executive who champions the effort, defines what VoC means to the company and makes it a priority. Ensure listening posts are in the proper places. Just like with social media, you can’t be everywhere. Take the same tack. Set up listening posts where it matters. Analyze your customer journey to re-evaluate where key touchpoints and moments of truth are. These places are where your listening posts should be. In addition, have listening posts at other places where your customers frequent such as specific social channels or online communities. Also, make sure that you aren’t relying solely on listening posts. Have direct conversations with your customers. So while you’re getting the feedback, you’re understanding underlying emotions as well. It’s also important to capture the employee’s voice as employees have very valuable data to share. The voice of the employee is such an underutilized tool to help drive customer experience improvement. You might also find value in feedback from your vendors. Empower customers to provide feedback. Creating lengthy, irrelevant surveys that are too frequent or untimely will increase survey fatigue and discourage customers from providing feedback. Also, when customers provide feedback and see that the company isn’t implementing their feedback, this deters them from providing future feedback. Instead, respond to feedback that customers provide. This will encourage customers to leave more feedback. Deliver shorter, more relevant surveys at appropriate times. Provide a sense of urgency on when you need the feedback. Give a guarantee on how long the survey will take to complete. Inform customers on how you plan to use the feedback. Also, try using less traditional methods, such as a customer advocacy program or customer advisory board, for example, to elicit feedback. Tell a complete story with your data. Only using structured data in your VoC initiatives is like having a one-sided coin. It doesn’t tell the complete story. In fact, it could set you up for a lot of false positives. Combine structured and unstructured feedback data in your analyses. Use quantitative and qualitative data from many sources to help tell a complete story. Develop a plan to close the feedback loop. This is the biggest challenge of VoC programs and which eludes most organizations – getting actionable insights from collected feedback back into your business processes. This requires collecting and analyzing customer feedback data, extracting actionable insights, prioritizing these insights, disseminating insights to appropriate personnel, implementing these insights into business processes and closing the loop with the customer. Develop a cross-functional project team of key stakeholders to develop this plan. The focus should be on keeping the VoC vision and goals top of mind and creating a framework to support them. You will need to detail every activity along with the who’s, what’s, when’s, how’s and why’s of that activity. This includes knowing objectives for every piece of data you collect, when data collection and analysis will happen, the process it will inform, processes and departments affected, which team will use this data, how to extract insights from the data, how to rank insights, how to get insights to key stakeholders, who will be responsible for making business decisions on the insights, who will get insights into processes and when, who will test processes, who will close the loop with the customer and when, etc. To deliver great customer experiences, companies must have a sound voice of the customer strategy. Integrating these five items will ensure voice of the customer success.